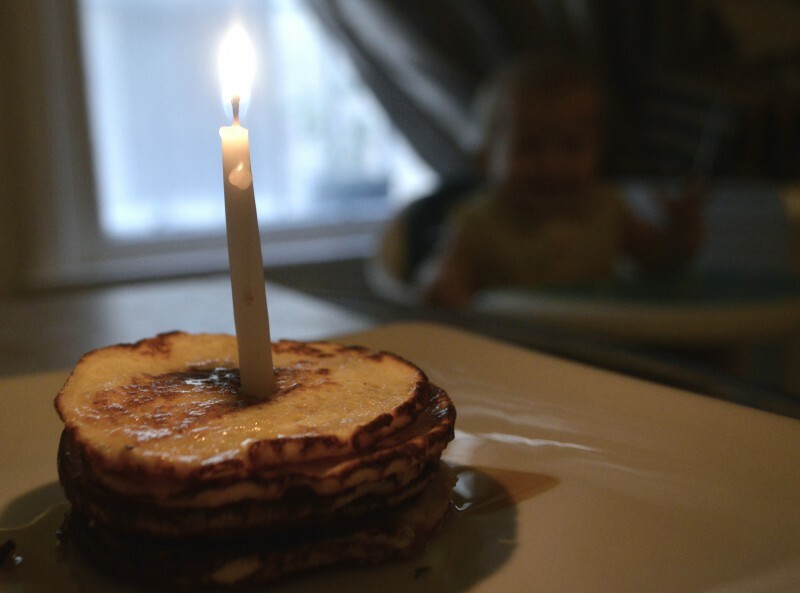 There are several Swedish recipes that have been handed down and thoroughly enjoyed in my family, but Swedish Pancakes (or Plett) get the blue ribbon. As a child I can remember waking up on most Saturdays with my mom in the kitchen cooking up a batch, and we always woke to a big plateful on our birthdays. I wanted to carry this lovely tradition on with my own children, so I decided to alter the recipe to fit our family’s eating preferences. After some trial and error, I was successfully able to make the recipe grain/sugar-free. When using a cast-iron plett pan this recipe make great Swedish pancakes, but I have found that it also makes good grain-free crepes if a thin layer of batter is poured into a skillet or griddle. GRAIN-FREE. In order to produce the right texture, I found that using all 3 flours (almond, coconut, and arrowroot) is important! Trust me. I tried other options and erred. 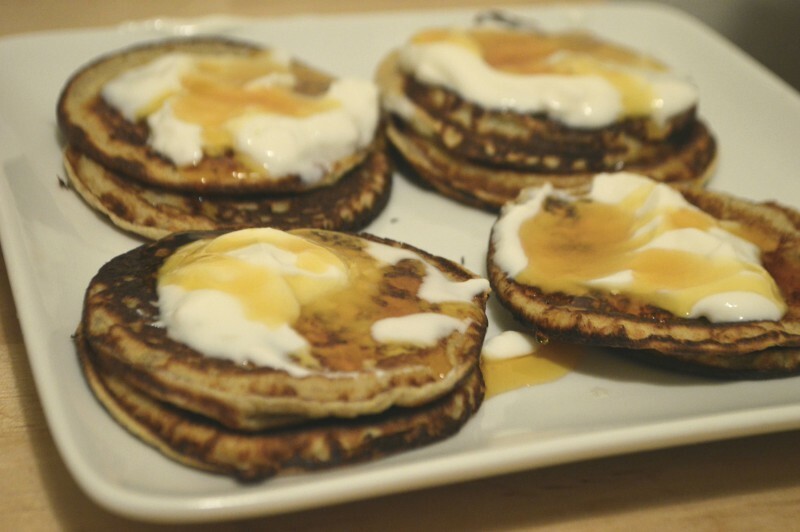 Upping the egg content was also important to keep the pancakes from getting dry or powdery. SUGAR-FREE. Truthfully, I found it fine to just eliminate the sweetener in this recipe all together, especially since we tend to top the pancakes with sweet things. Most “real” plett recipes call for 1-4 Tbsp of sugar though, so Stevia or honey could be used to mimic this and keep things refined-sugar free. Coconut sugar could also be a consideration for a low-glycemic option. A NOTE ON DAIRY. I have a hunch that the dairy in this recipe could be substituted with almond or coconut milk if additional fat was added in, but I haven’t tried it. Most “authentic” plett recipes either use straight cream or a cream and milk mixture, and from what I have been told, the fat those ingredients provide seems to be somewhat important to the end result. Using whole milk has been working well for us, but the Scandinavian in me feels like I’ve messed with the recipe enough to knock out dairy too! Tip: All of these dry ingredients can be purchased at discounted prices through Thrive Market! 1) Stir together first three ingredients. 2) Add in eggs and milk. Combine well. 3) Stir in any optional ingredients you will be using. 5) Grease pan using method of choice right before pouring in batter. We opt for coconut oil. I have found that the greasing only needs to take place in our pan every two pours. 6) Cook 2-3 min per side or until done, using a small metal spatula to loosen edges and flip. If the pancakes are coming out dark you will either want to lower the temperature (we usually have to do this after the second pour), or you may be greasing too early which causes the fat to burn and darken your pancakes. As mentioned earlier, using a Swedish Pancake pan produces great Swedish Pancakes, but for more of a crepe-style pancake, pour batter thinly into a skillet. 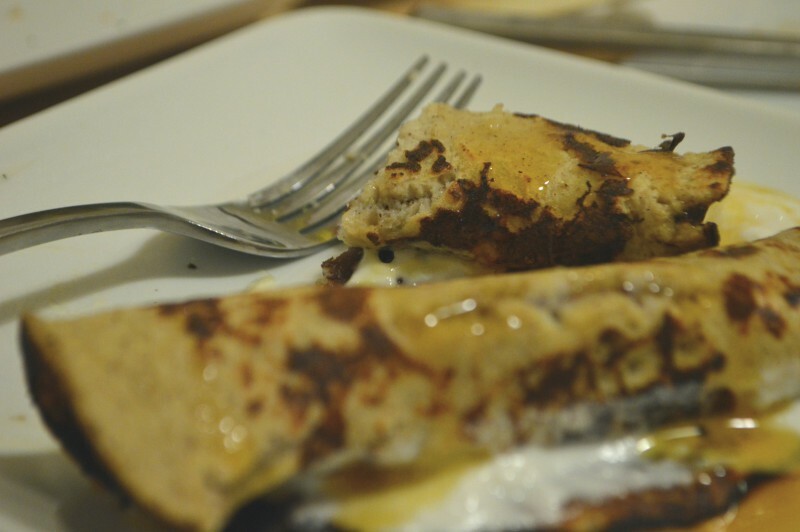 I like using a 6 inch pan to make mini crepes as they are easy to flip! SWEDISH PANCAKES are traditionally served with lingonberry preserves, powdered sugar, and/or maple syrup. Are you a Swedish Pancake or Crepe fan? What are your favorite toppings and variations? Let me know in the comments below! This looks amazing. I cannot wait to make it for my kids. Thanks for the idea and recipe. Oh man I need to try this. I almost passed it by until I saw grain free which also means gluten free. Woohoo! Yes! Definitely gluten free 🙂 enjoy!! !